3575 East Hidden Valley Dr.
Tickets will also be sold at Hidden Valley Country Club each day of the event. Food & Beverage- Distribution/Sale of Tee Refreshments at the 1st, 6th, 10th & 12th Tee Boxes. Supplies will need to be replenished. Fairways : Monitor and assist crowd and player movement. Ensures gallery is quiet and content during playersâ€™ shots. Program Distribution – Distribution/Sale of Tournament Program. Scoring Control – Each group will be assigned an official scorekeeper. That scorekeeper will be responsible for tracking hole-by-hole score of each LPGA professional. Transmits scores via two-way radio to the Manual Leaderboards. Scorer will ride in cart with Standard Volunteer. Standard – Carries standard scoring display for group of two to three tournament participants during their game. Must be at least 18 years of age. Standard Volunteer will ride in cart with Scorer. Spectator Services – A committee of volunteers will be responsible for passing out pairings sheets andÂ maps. Spectator Parking – Oversee parking of cars. 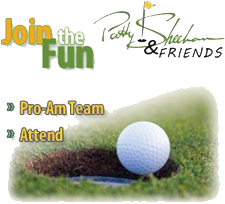 Volunteer Services â€“ Familiar with course layout, tournament event scheduling and golf etiquette. Drives golf cart during event to communicate and assist volunteer staff.